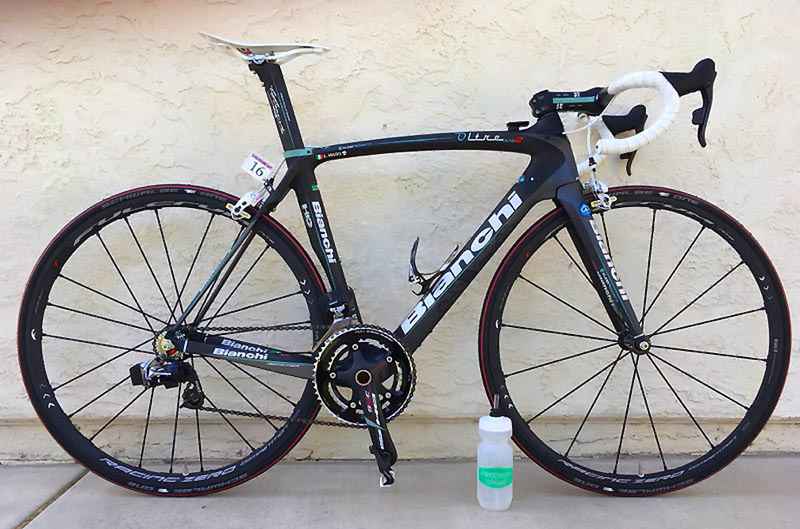 PezCycling News - What's Cool In Road Cycling : Readers’ Rigs: Bianchi Oltre XR.2 Special! 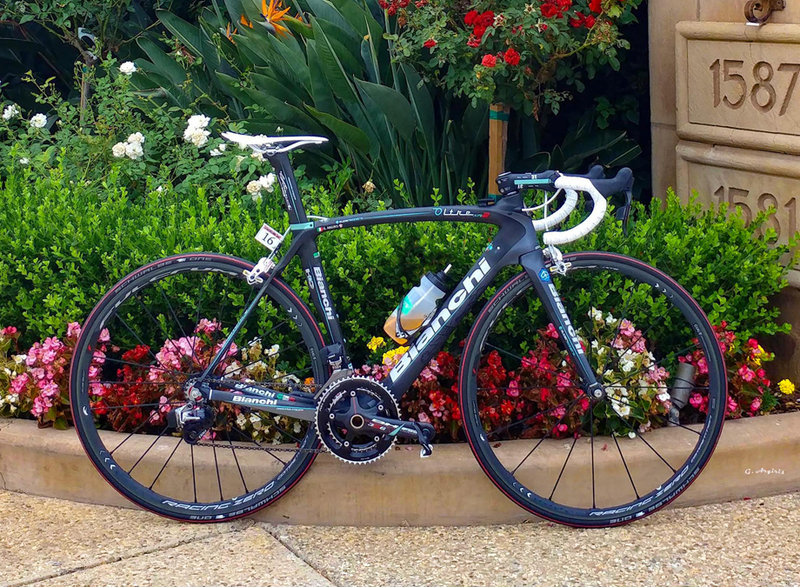 Readers’ Rigs: Bianchi Oltre XR.2 Special! Today we welcome back one of our most famous Readers' Rigs alumni, George from San Diego. 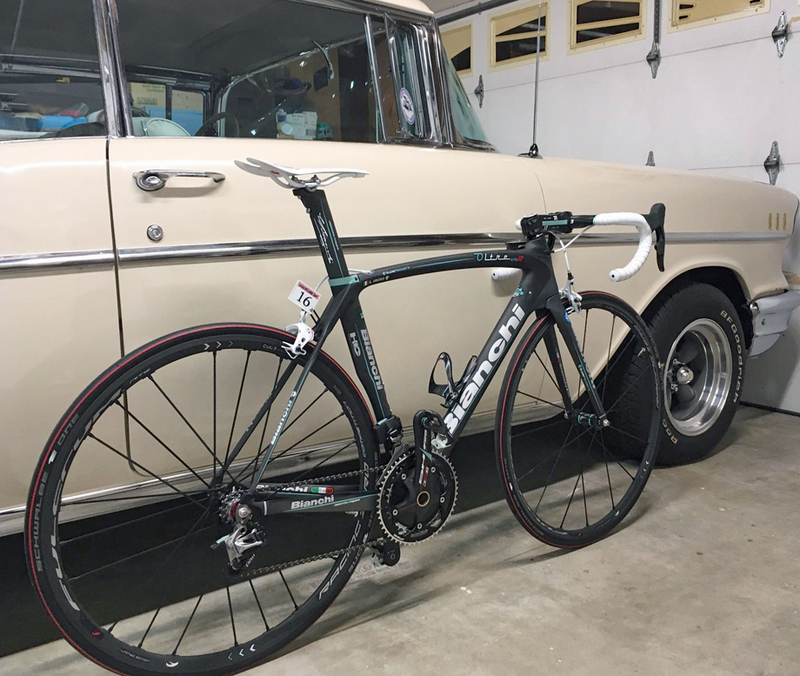 His new rig is an Italian stallion, Bianche Oltre XR.2 like no other with custom celeste touches throughout and a truly unique Campag/Sram E-Tap 4 speed gearing setup! It was way back in 2012 when Readers' Rigs had just started that I first got to know George from San Francisco. He submitted his highly unusual Fondriest as a Readers' Rig and it certainly got Pezzers around the world talking so when he recently contacted me telling me had a new bike I was all ears. I bought the frame in July 2018 and then built it up from there. 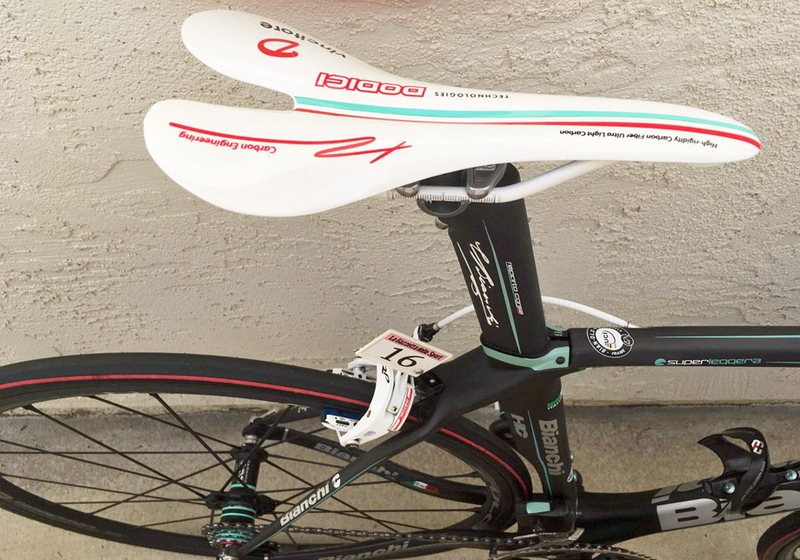 You first were featured on PEZ in 2012 with your highly original Fondriest - why change it? No reason other then it's been 9 years since I bought the Fondriest and I'm used to having two rides and a new bike a year so this one was well overdue. What components are you running? Did you ever think to just leave the gears as standard? No, the gearing is to intimidate the young! It's a Sram Red E-TAP set up with 13, 14, 15 & 16 cogs. Yes folks that's a four speed Campag rear cog setup with 13, 14, 15 & 16 toothed cogs hooked up to Sram E-Tap with celeste highlights. 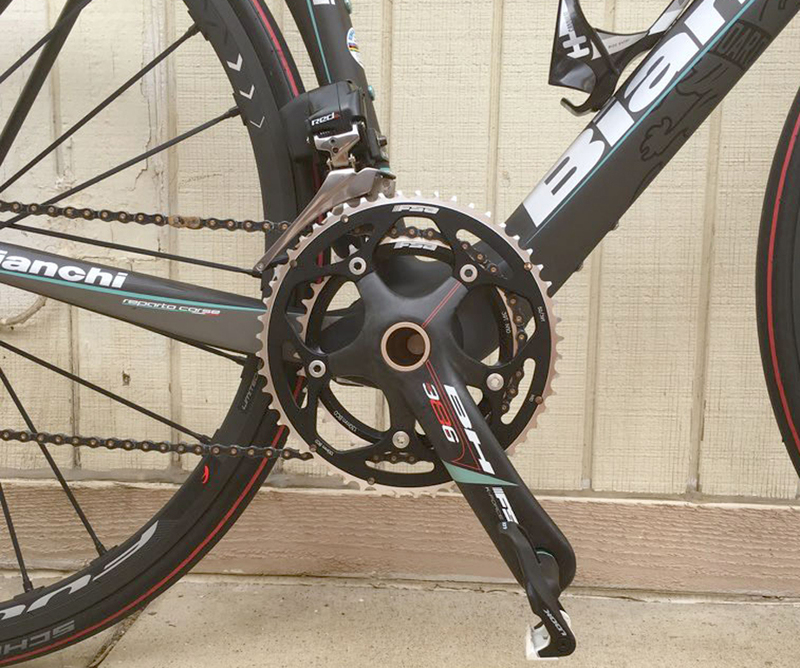 Any problems setting up such an unusual gearing setup? 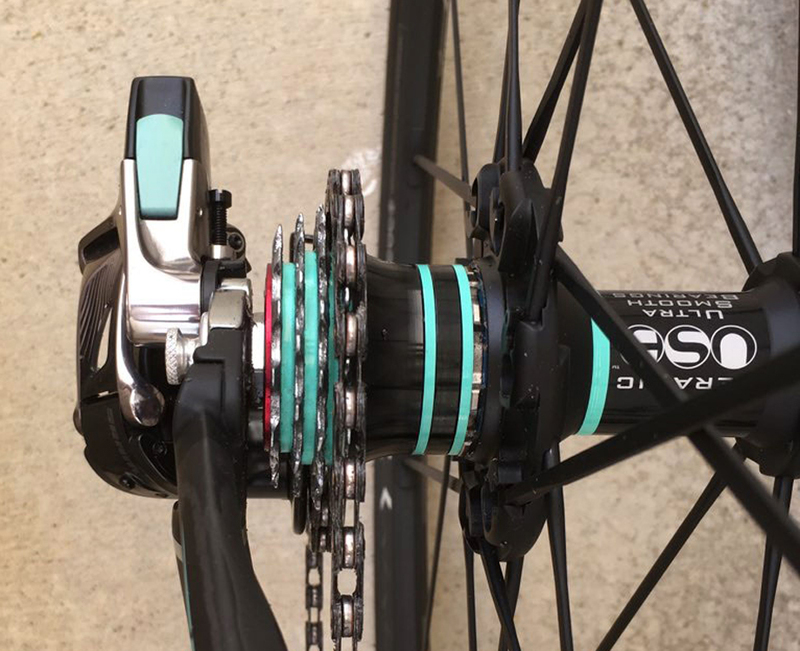 No, because you can micro adjust each individual cog with e-tap, it makes it easy to align so different spacing isn't a concern between Campy and Sram. Now if I were using a complete cog set that would probably be a different story since Campy cog spacing on some cassettes increases as you climb up the cassette. I had to modify the derailleur limit screw to stop the chain from shifting onto the spacers (stopping at the 16t) so I'm running 13-16, 39/52. Crazy? Yes, but not so crazy. Do you really use all your gears? So why not demoralize other riders as you pass them on a tough climb! It keeps me strong but I have no bail out gear on 10% and up. After having straight blocks for the last 38 years I really can't 'spin' up a hill even if I tried. Good question, I don't know. Let's just say that I have 39 years of many miles in the legs. What do you love about this bike? It came about as just another unnecessary need to build and have another bike. It was also fun to do the 'Celeste' details on the components. 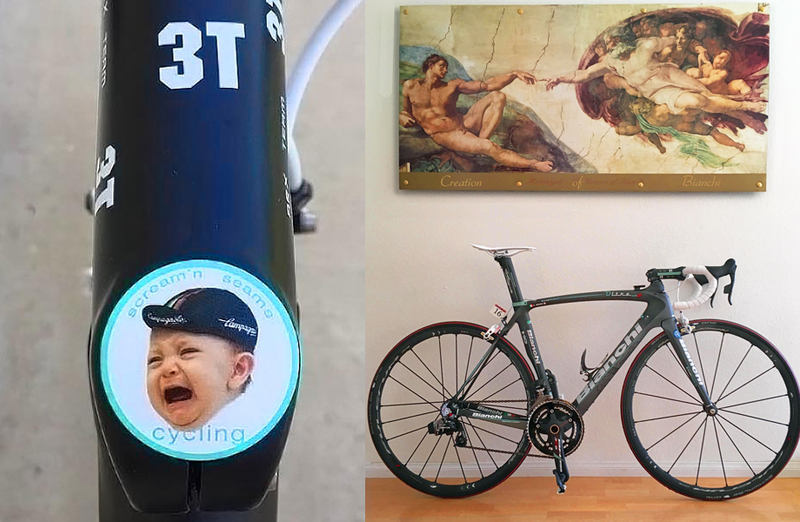 In case you couldn't tell from the little details all over the bike - George is an accomplished artist and loves to take his work home with him by customising his bikes. Still the hills of San Diego. The experience is always the same......…pure enjoyment ! George's Bianchi with another of his money pits..... a 57 Chevrolet Belair. 4 speed too George?? 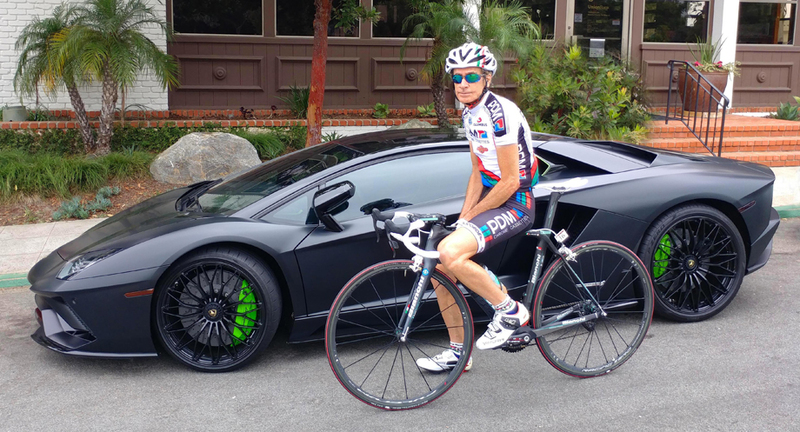 George with his Italian moneypit infront of somebody else's Italian moneypit with green highlights! I think for me as for all diehard cyclists the need to continue buying, riding, suffering and being on the brink of divorce for doing so is just the way we cope and distract ourselves from the every day grind! Thanks to George for sharing his truly unique ride with us. Got a bike that you're proud of? Well, how about sharing it with fellow PEZ fans and getting it featured in Readers' Rigs so we can all stare at it! Contact us via the Comment box below, or send a Readers' Rigs submission direct to [email protected] and your bike could be featured in all its glory here on the pages of PEZ.